The Electronic Entertainment Expo (E3) - gaming's largest trade show - is breaking tradition and allowing fans to attend the traditionally exclusive event for the first time ever this year. Fifteen thousand consumer passes have been allotted for E3 2017, allowing those without a business connection to visit the Los Angeles Convention Center in June to catch a glimpse at some of the most anticipated (and often never-before-seen) games around. 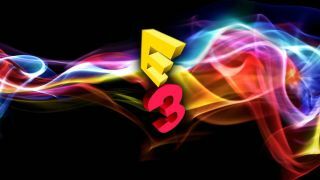 Presented by the Electronic Software Association (ESA), only members of the gaming industry and media have traditionally been permitted to attend E3. However, gaming enthusiasts from all over express intense interest for the show's trademark big reveals and surprising announcements, so much so that Sony even streamed its E3 2016 presentation in select theaters across North America. However, as companies like Electronic Arts and Activision stepped away from the show to reach a broader audience and fans expressed a growing interest in engaging with the show, it became clear something needed to change. E3 played around with opening up to the public last year with E3 Live - a free event held outside the convention center that let fans get a taste of some of the year's biggest upcoming games - though it only emulated a fraction of the 'real' show experience. "The feedback we heard was clear: they wanted to play the games inside the convention center. In addition, exhibitors inside the convention center wanted to have access to the fans. So this year we're bringing the two together," Rich Taylor, SVP of communications for the ESA, told GameSpot about this year's change. Those interested in getting their own pass to E3 2017 will have to act fast on February 13, when consumer tickets go on sale at 9am PT/12pm ET/5pm GMT. Early bird buyers can get tickets for $150 (about £120, AU$200) each on the first day they're available, but then the price goes up to $250 (about £200, AU$330) per ticket. We suggest you act fast if you want a pass.